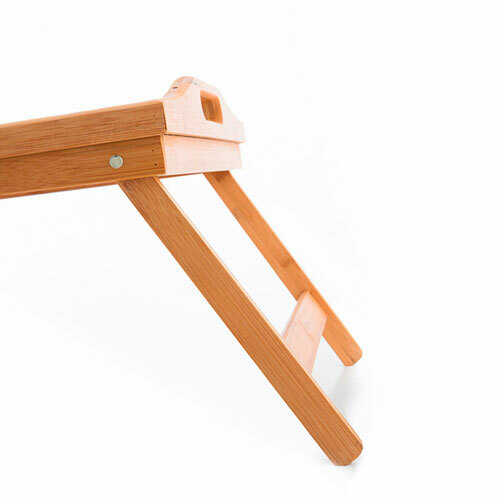 This bamboo wooden tray is great to serve breakfast or lunch in bed, among many other uses, as it has convenient and practical foldable legs. It can also be used as a normal tray (with the legs folded). The wood this tray is made of has lots of advantages which include the fact that it’s natural, eco-friendly, resistant and allergen-free. 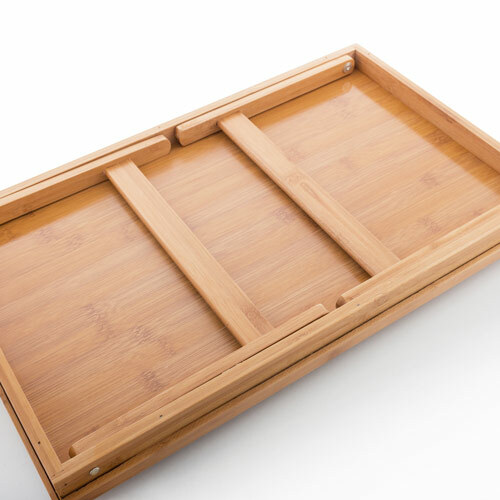 Give the decoration of your kitchen a unique touch with this elegant and excluive bamboo tray! Surface: approx. 50 x 30 cm. Legs: Approx. 21 cm.